The Virginia REALTORS® staff is taking part in one of their favorite annual holiday traditions: The Salvation Army Angel Tree. This year, the staff adopted twenty angels from the tree. According to the Salvation Army, “Each angel (ages 0-14) represents a child in need in Central Virginia, who, without the support of the community, might not have a Christmas.” This Christmas Assistance Program provides holiday gifts to approximately 3,000 local families and 5,000 children. The children and their parents make a list of what they need the most, along with some fun items the children hope to receive. 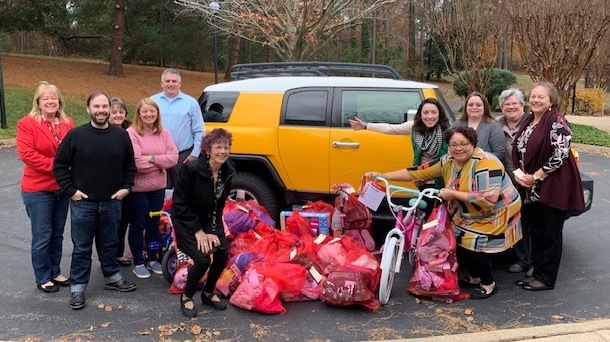 This year, Virginia REALTORS® staff members purchased bicycles, toys, clothes, baby walkers, and sports equipment—all of which were listed as the angels’ Christmas wishes. 2018 marks the staff’s fifth consecutive year taking part in this wonderful program. To learn more about the Salvation Army Angel Tree, click here. Are Your Clients Blind to their Mess?